Did you know that migraines are the most common form of disabling headache that sends women to see their doctors? Or that migraine pain and symptoms affect 29.5 million Americans? Did you know SEVENTY FIVE PERCENT of those 29.5 million Americans are women? A migraine is a medical condition. Most people who suffer from migraines get headaches that can be quite severe. A migraine headache is usually an intense, throbbing pain on one, or sometimes, both sides of the head. Most people with migraine headaches feel the pain in the temples or behind one eye or ear, although any part of the head can be involved. Besides pain, a migraine also can cause nausea and vomiting and sensitivity to light and sound. Some people also may see spots or flashing lights or have a temporary loss of vision. Migraines can occur any time of the day, though it often starts in the morning. The pain can last a few hours or up to one or two days. Some people get migraines once or twice a week. Others, only once or twice a year. Most of the time, migraines are not a threat to your overall health. The two types of migraines seen most often are migraine with aura and migraine without aura. Migraine without aura: with this form of migraine, a person does not have an aura but has all the other features of an attack. The exact cause of migraines is not fully understood. Most researchers think that migraines are due to abnormal changes in levels of substances that are naturally produced in the brain. When the levels of these substances increase, they can cause inflammation. This inflammation then causes blood vessels in the brain to swell and press on nearby nerves, causing pain. Genes also have been linked to migraines. People who get migraines may have abnormal genes that control the functions of certain brain cells. Migraines are more common in little boys than girls until they reach puberty. Then in adolescence, girls surge ahead. By then, three times more females than males experience migraines. In about half of teen girls, migraines are associated with their menstrual cycle. The change in prevalence is thought to be related to fluctuations in hormones, which may make girls more susceptible to migraines. Over a lifetime, migraines in women are often associated with hormonal shifts – such as during menstrual cycles, pregnancy, and menopause. If you have migraines, there’s a good chance they’ll improve during pregnancy. Researchers say 50-80% of women who’ve had migraines before pregnancy may notice an improvement because estrogen levels rise in pregnancy and may exert a preventive effect, especially in the second and third trimesters. Studies show that one third of women get better during pregnancy, particularly if they have menstrually associated migraines. However, some women experience migraines for the first time during pregnancy and some experience an increase in migraine symptoms especially during the first trimester. The appearance or worsening of migraines in pregnant women should be taken very seriously – studies show that migraine symptoms, when accompanied by high blood pressure, can increase the risk of developing preeclampsia or other vascular complications. Women whose migraine symptoms don’t decrease during pregnancy should be particularly vigilant. It’s important to work with your obstetrician and your headache doctor when you have migraines to establish a safe treatment plan. Is there anything good about menopause? Well, if you have migraines, maybe. Two-thirds of women with migraines will experience a significant improvement in their migraines with menopause, especially if they have migraines without aura. Some women even stop getting migraines once they reach complete menopause, assuming menopause is natural and not as the result of surgery or other induced causes. Yet in some women, migraines may worsen in the perimenopausal period, the time just before menopause when your body is transitioning to menopause. This happens because of major fluctuation in estrogen levels as your body moves through the change. 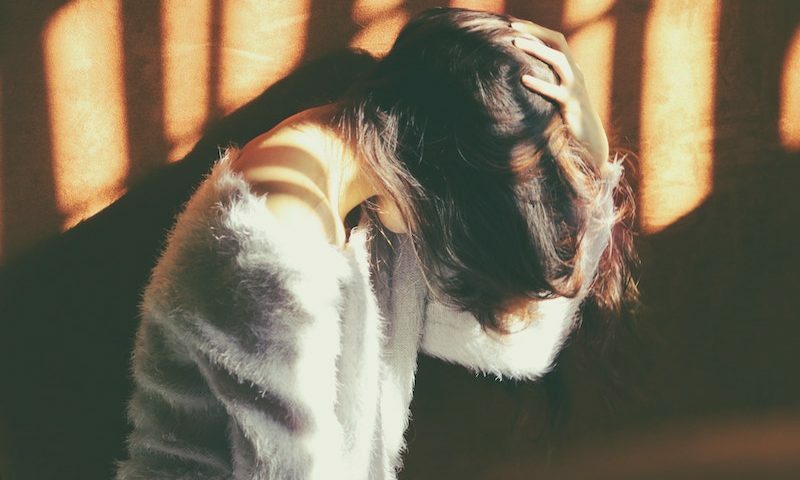 In fact, migraines may get worse or more prevalent in women who have had menstrually related migraines during their life or in whom menopause has been induced because of surgery or medical treatments like chemotherapy. Before jumping into this, I’m going to preface it with the following: it can take months to get your migraines under control, so please don’t give up. I recommend that all my patients incorporate the following changes into their lifestyle, but be patient – change doesn’t happen overnight! First step is finding out what triggers your migraines. So how do you keep a migraine diary? These may seem like arbitrary details, but you might find a common link over time. The key here is to look for trends – do your migraines tend to hit after exercising? Perhaps it’s after a significant pressure or weather change? Always at the same time in your menstrual cycle? Or maybe they come on during your commute to or from work. This will go hand in hand with your migraine diary. I encourage you to eliminate all common food triggers from your diet for a minimum of 21 days. The most common food triggers to eliminate include gluten, dairy, corn, soy, sugar, vegetables oils, preservatives, alcohol and caffeine. After three weeks, you can start slowly reintroducing foods. Keep track of what foods you’re reintroducing and see if anything that you add in triggers a migraine. If you find a trigger, eliminate it completely from your diet. Seriously. There’s a link between constipation and migraines. Make sure that you’re having at least one bowel movement a day. One of my favorite “tricks” to ensure regular bowel movements is to include lots of magnesium rich foods in your diet. I also recommend supplementing with magnesium as it’s often hard to reach optimal levels of magnesium through diet alone. Our soils are often quite mineral-depleted which leaves our bodies deficient. I recommend this: Magnesium (take 2-3 capsules at bedtime). Preservatives such as MSG, nitrates, etc. Aim to eat every 3 hours. If you find yourself constantly hungry, make sure you’re adding enough high quality fats to your meals. An ideal meal should contain 50-80 percent healthy fat, 5-30 percent carbohydrate, and 10-30 percent protein. Most people don’t know this, but there is a phenomenon called medication overuse headache (MOH). When you take pain medications for headaches (including narcotics, Tylenol, aspirin, caffeine, and ibuprofen) on a regular basis, these medications actually start to cause headaches, and make your headache and migraine frequency and severity worse, creating a vicious cycle where you take more and more of the meds that are making you worse! So as crazy and scary as this might seem to you to try, stop all of your pain medications for a few months. You might be surprised to find that you are actually having fewer headaches! The world of supplements can be incredibly overwhelming, so I’ve rounded up a few of my favs for you. I’ve broken them down into two sections – a daily supplement regimen, and then a few optional supplements to take as needed. Please note that all of the daily supplements are SAFE to take during pregnancy. Riboflavin (Vitamin B2): researchers have recently suggested that decreased mitochondrial function may be a cause of migraines. Mitochondria are the “energy power houses of the cell”. Riboflavin has been shown to increase the efficiency of the mitochondria, and has been shown to safely prevent recurrent migraines by 50% (compared to 15% for placebo)! It can often takes upwards of a month before you’ll notice results, so hang in there! Magnesium*: do you get migraines around your monthly cycle? Let magnesium become your best friend! Like Riboflavin, it can take a little while before you notice results – up to 3 months for magnesium – so just be patient :). * if you are currently taking beta-blockers or blood pressure medicine, please speak with your medical provider before taking magnesium glycinate, as high doses of magnesium have been shown to lower blood pressure. Ginger: Ginger is traditionally used to treat pain and inflammation, and up to 1 gm/day is considered safe for use during pregnancy. My favorite way to take ginger is to make ginger tea! Purchase fresh ginger root, slice a 2” chunk into thin slices, add to 4 cups boiling water and let simmer for 20 minutes. Drink like hot tea with raw honey added! OmegAvail Fish Oil: another potent anti-inflammatory, fish oil has been shown to reduce headache frequency, length, and severity. Melatonin*: The hormone melatonin is secreted by the pineal gland. As a supplement, it is useful for regulating sleep and the body’s daily rhythmic cycle. It’s also an important antioxidant. * considered safe for use while breastfeeding, but please speak to your medical provider before consuming while pregnant. 5HTP*: has been shown to be helpful in preventing migraines in several studies with better effects than pharmaceuticals. It likely works by regulating serotonin levels and increases endorphin (a natural pain reliever produced in the body) levels. CoQ10: this supplement has helped many women overcome chronic migraines – it’s primary activity also being to enhance mitochondrial function. Safe for use during pregnancy. 1. Three out of four migraine sufferers are women. 2. Looking for migraine trigger trends in a Migraine Diary should be step one in managing your migraines! 3. While migraines can be linked to hormonal changes, there are specific diet and lifestyle changes that can help eliminate your migraines. Do you regularly suffer from migraines? Do you have a go-to method to help manage migraines and their symptoms? Spread some migraine lovin’! Sharing is caring, and I bet you have some friends who would love to read this too :).